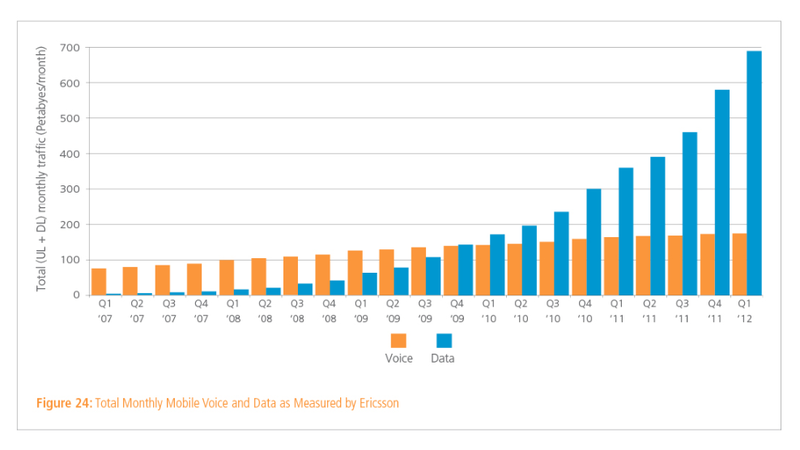 Globally, the speed for broadband connections is steadily on the rise: according to Akamai’s Q1 2012 State of the Internet report, it’s now at 2.6Mbps, compared to 2.3Mbps in the last quarter, and a rise of 25% on a year ago and a reversal of the 14% decline of last quarter. South Korea continues to remain the connection king, with an average connection speed of 15.7Mbps. The U.S., meanwhile, doesn’t make it into the top-10 countries (it’s ranked 12th) but at least it’s speeding up: it is now at 6.7Mbps, up by 29% on last year and 17% from the previous quarter. But as broadband continues to improve, so do attacks. Akamai notes in its study that attack traffic is on the rise, concentrating in particular regions and ports, with Asia Pacific, led by China, accounting for 42 percent of attack traffic originating from Asia Pacific; and the top 10 ports for attack traffic accounting for 77% of all attacks (up from 62% last quarter). After Asia Pacific, Europe accounted for 35% of all attack traffic originations, while North and South America accounted for 21%. Africa represented less than 1.5% of attacks. However, although the Americas appear to account for less attack traffic, in fact the U.S. ranked second to China on an individual country basis, with 11% of all attacks; China accounted for 16%. The Internet continues to grow: Akamai notes that it registered 666 million unique IP addresses from 238 countries and regions connecting to the Akamai Intelligent Platform in Q1 2012, a six percent increase over Q4 2011 and 14 percent increase compared to Q1 last year. More growth is happening in smaller countries than in larger ones. In the wake of the global launch of IPv6, Akamai says that the number of unique IP addresses from the top 10 connecting countries was at 66%, but that this is down by about one percent on the quarter before. China, Brazil, Italy and Russia are all growing at rates of 20%. Broadband high and low: Akamai’s seeing enough growth at higher broadband speeds that it’s now breaking out progress in this area. It notes the number of countries where people are using broadband at speeds of 10Mbps or higher is now at 10%, a rise of 19% on last quarter. South Korea, being the world’s broadband leader, has high-speed broadband penetration of 53%. Japan is at 37%, Hong Kong is at 28%, Latvia is at 26% and the Netherlands is at 24% penetration for high-speed broadband. 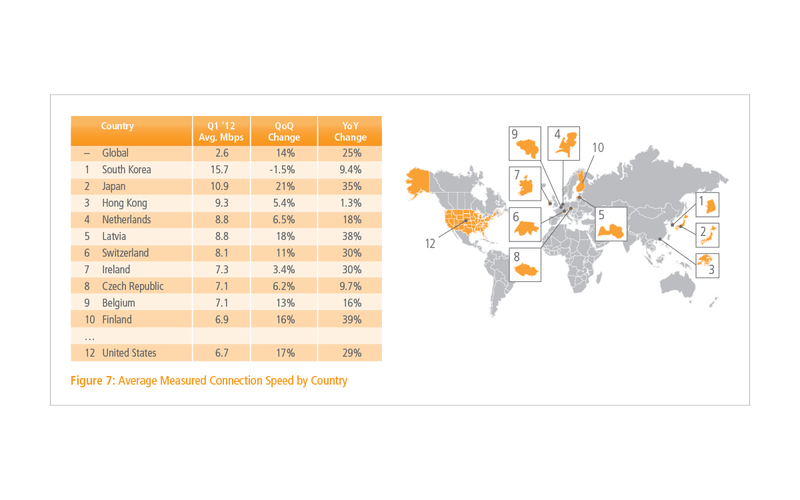 Overall, 125 countries are seeing increases in speed over last year, Akamai notes, with only 10 countries seeing declines. Given the speeds below, you can see why Google’s fiber project is so compelling and has so many people excited at what it might bring next. Mobile broadband: Germany takes the crown for fastest mobile broadband at 6Mbps. Worldwide some 65 carriers had speeds greater than 1Mbps. Interestingly, only three carriers analysed had connection speeds below 500kbps, meaning those carriers that are upgrading to mobile broadband seem to be doing it in a largely unified mass, with less speed fragmentation than we’re seeing in the area of fixed broadband. Akamai doesn’t name and shame the slowest providers — or say who the best ones are. 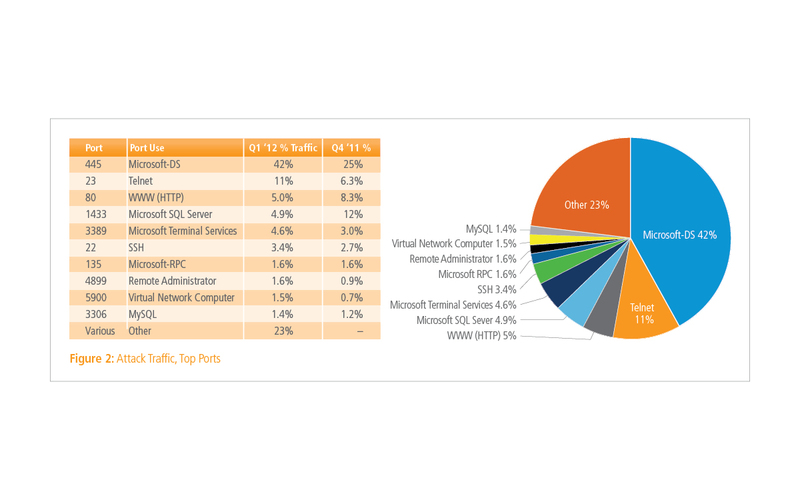 Attack traffic by ports points to Conficker Worm rising again: Akamai notes that Port 445, used for Microsoft-DS, accounted for a disproportionate 42% of all attack traffic, up from 25% in the previous quarter. It notes that Port 445 is associated with the Conficker worm. It appears that this increase was largely attributable to significant growth in the percentage of attacks targeting Port 445 (42 percent of observed attack traffic), after seeing declines over the prior several quarters. As has been noted in past reports, Port 445 is associated with the Conficker worm. It was the most attacked port in seven of the top 10 countries generating attack traffic, Akamai notes. Attacks on web-based applications, represented by Port 80, actually decreased by three percentage points globally, but that was the second-most targeted port in the U.S., Germany and Brazil, Akamai notes.